The flame-haired virago bearing down on Ross MacKenna was far too shapely to be a seasoned warrior, but she was just as deadly. As she engaged him on the battlefield, Ross knew her for a MacKay, long-time enemies of his clan. What he didn’t know was that she would soon be his wife, given to him by her father in a desperate effort to end generations of feuding. 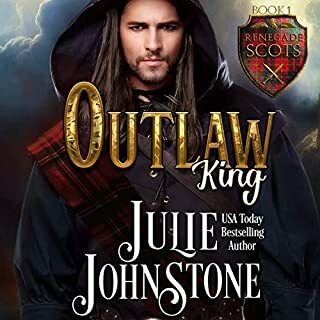 Widowed and alone on the frontier, Elspeth Stewart will do whatever it takes to protect herself and her unborn child from the dangers of the wilderness and of men. Though her youthful beauty doesn't show it, she is broken and scarred from the way men have treated her. 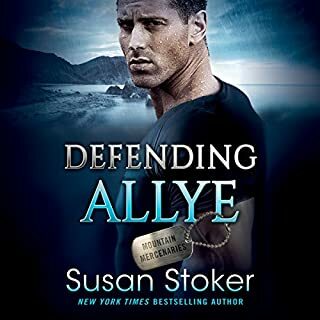 So when a stranger wanders onto Bethie's land, wounded and needing her aid, she takes no risks, tying him to the bed and hiding his weapons before ministering to his injuries. But Bethie's defenses cannot keep Nicholas Kenleigh from breaking down her emotional walls. The scars on his body speak of a violent past, but his gentleness, warmth, and piercing eyes arouse longings in her that she never imagined she had. As Nicholas and Bethie reveal to each other both their hidden desires and their tortured secrets, they discover that riding the flames of their passion might be the key to burning away the nightmares of their pasts. Didn't Want The Series To End! Many series books tend to be disappointing because the first book is great and the remaining books fall short. This series, however, delivers great stories, history, and memorable characters. After listening to all 3 books in this series, I think I enjoyed the third book "Ride The Fire" the best. I'm not exactly sure why....I think maybe because the ending sums up everyone's life and I really didn't want it to end. Plus, I love Kaleo Griffith's narration. What did you love best about Ride the Fire? 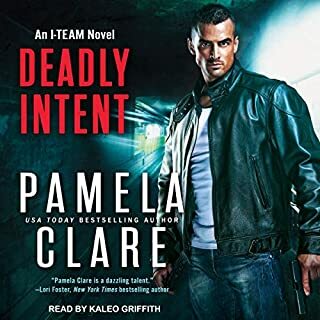 Pamela Clare is a fantastic author. She does her research, her stories flow and stay in sync from beginning to end. The characters are well defined and there is always, hot romance in very good taste and action. The men in her books are men all women want to meet and marry. What other book might you compare Ride the Fire to and why? The Blakewell/Kenleigh saga is a wonderful trilogy. In my opinion it stands alone. Which character – as performed by Kaleo Griffith – was your favorite? Nicolas Kenleigh. Kaleo Griffith has such a wide range of voice impressions. I absolutely love him! What a story! Pamela Clare brings life to historical romance like no one can! This story is gritty, realistic and beautiful. You will cry. You will laugh out loud and you will love this story of Nicholas and Elspeth (Bethie). I loved this entire series. The stories were well written and the characters brought to life by wonderful trading. Would you listen to Ride the Fire again? Why? Fast moving, well written description of the life and times of America during the upheaval of events between the English, Americans and Indians. Lovely love story with all the ardor one buys historical romance books for. 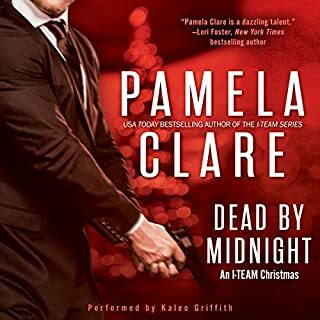 I think Pamela Clare may be my new favorite author. What was one of the most memorable moments of Ride the Fire? When Nick and Bethie were escaping the fire. I enjoyed his narration. I have often felt men can do women's voices better than women can do men's voices, with the exception of some women, like Carmen Rose. This is the second historical romance trilogy I read by Pamela Clare and enjoyed both very much. She is a wonderful writer. Ride the Fire was exciting, fast paced, heart-wrenching at times with great characters. And lots of action. I highly recommend this trilogy and MacKinnon’s Rangers. Kaleo Griffith’s performance was excellent. I hope to find other historical romance from Pamela Clare on Audible.